One of my major 2018 goals was to truly care for my skin with all-natural products. I must admit that I never truly paid much attention to my skin growing up. I always had soft skin with hardly any blemishes growing up, but my skin has definitely changed over the years. I have tried to develop a brand new skincare routine, and it hasn't been easy. It's been a bit tough, simply because I am not used to caring for my skin, so it's hard for me to remember to wash and cleanse my skin. 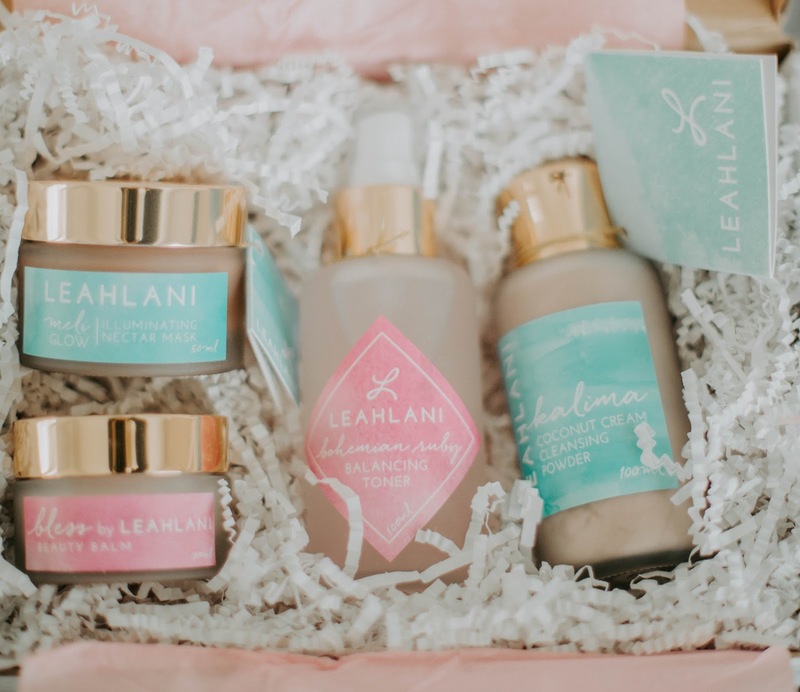 I have always washed my face with Clean and Clear, but I decided that this year I should invest in products that are way healthier for my skin in the long run, and what better way to care for my skin than with Leah Lani Skincare. 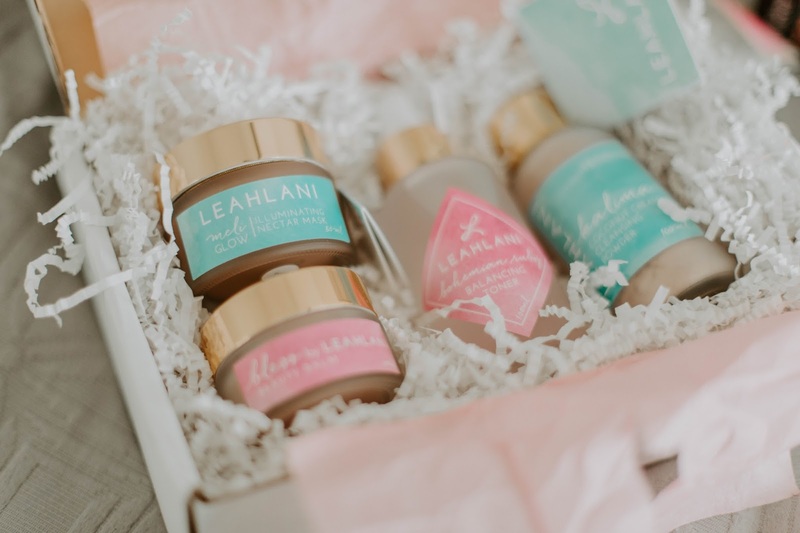 I went with Leah Lani products because I had read many good reviews about her products, and today I am going to share my thoughts on her products (The Pink Collection in particular) and I am even going to share how I use each product. Also, I thought this post would be appropriate to share since it's International Women's Day. So, keep scrolling if you want to learn more about this beautiful collection. A little backstory about LeahLani Skincare. 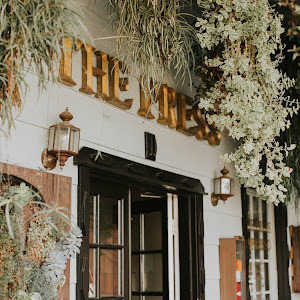 Leah is the founder and skincare expert. Based in Hawaii, these products are made from fresh Hawaiian nectars and are made fresh weekly. If you are interested in seeing behind the scenes sneak peeks on how these products are made, feel free to follow Leah on Instagram. 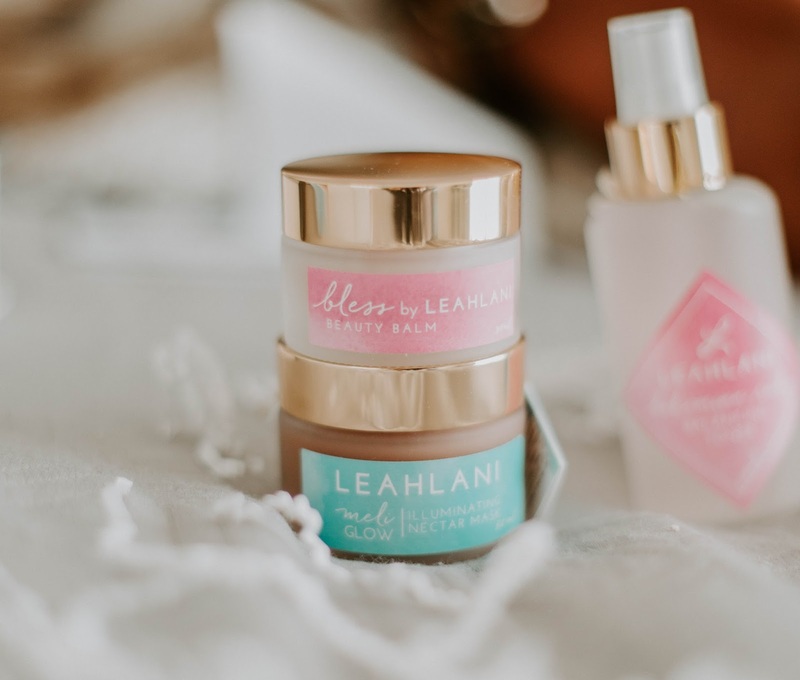 Leah was inspired to start these products when she herself struggled with acne, she invested in her education and moved to Hawaii where she studied skincare. She was moved to create something natural that could transform all types of skin and bring out their natural beauty. I love reading her story, and I love seeing how successful she has become. I immediately knew that I wanted to buy her products once I read her story, and I hope you are also encouraged to do the same. I purchased The Pink Collection which includes: cleanser, toner, mask, and balm. One of my favorite things about this collection is that every single item in the collection is a beautiful shade of pink. I can't handle the beautiful soft color. 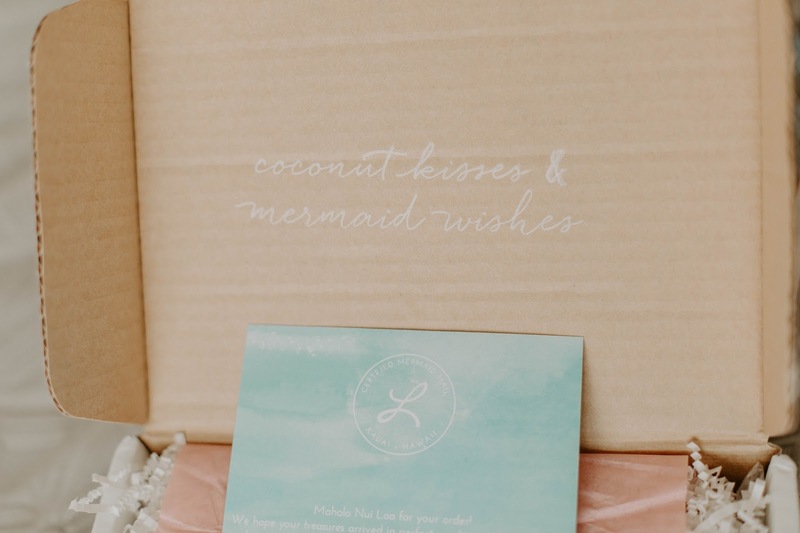 I also loved the packaging, you can tell that Leah puts so much thought into each product and package. I am going to describe each product and their use below in the order that you should be applying them on your face. The Kalima Cleansing Powder: This is such a rich and beautiful cleanser. It comes in powder form and in order to activate the ingrediants, you must use water. The cleanser then turns soft, and it feels so good on your skin. I love the smell of the cleansing powder, I must stop myself from tasting it because it's that good. This product boosts collogen production, and evens out your complexion. I have found that my skin has reacted positively with this cleansing powder. I notice how soft my skin is getting with each use that I always have to stop myself from touching my face throughout the day after using this product. Bohemian Ruby Balancing Toner: This is by far my favroite in the entire collection. This toner is perfect for those who have delicate skin. My skin is inbetween, but this product still works wonders on my skin. You must shake your bottle before spritzing to activate the ingredients, and then you must spray a generous amount on your skin. It is so hydrating, and I can't help but imagine that I am laying by the beach in hawaii when I spray this product on my face. It is so refreshing and it will leave you with a reviatlized complexion. Meli Glow Nectar Mask: I use this mask once a week. You can use it 2-3x a week, but I feel like once a week is perfect for my skin. This product contains vitamin rich wildcrafted fruits, beauty oils, and organic hawaian raw honey. This product helps give you that rosy glow, and I love how it feels on my face. My face always feels so soft after using this, and I can't get over the delicious smell. Bless Beauty Balm: This is the finishing touch in the collection. You apply a small amount to your face, and you can feel the moisture instantly. How much you apply I believe depends on your skin type. I already have oily skin, so I do not apply that much. The Beauty Balm contains organic shea and cocoa butters. An interesting thing about this balm that I learned from reading the product description on the website is that it does not contain water or wax, meaning that the enitire product is 100% filled with those good-for-your-skin-rich ingredients. I have truly enjoyed this collection, and I would definitely encourage you all to invest in this product. I was a bit hesitant at first because I did find the product to be a bit pricey when I first saw it, but it is definitely worth every penny. Leah also has other collections and products for all types of skin, and I encourage you all to take a look at her collection. My skin has definitely improved ever since I started using these products every day. I feel a dramatic change in the texture of my skin. I tend to get a lot of blackheads around my nose area, but using the cleanser and mask in this collection has definitely helped clear them up. I can not say enough good things about Leah, her products have definitely become my absolute favorite. 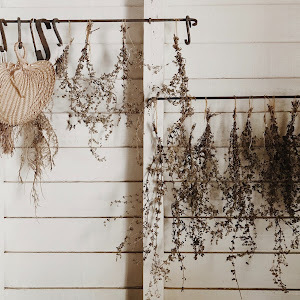 Caring for your skin with all-natural products can be tricky. 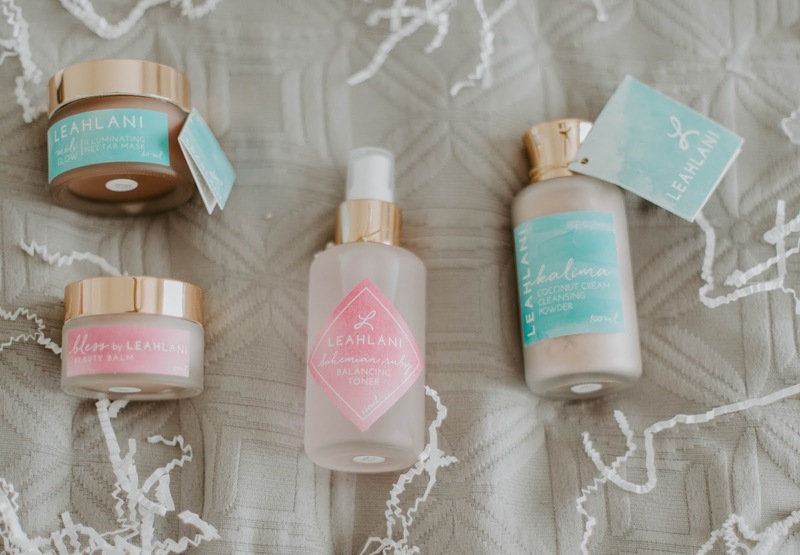 I had to do so much research before finally choosing LeahLani Skincare. 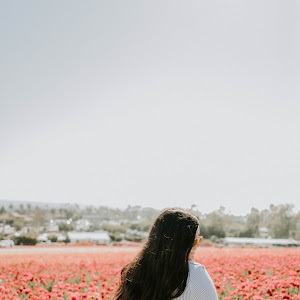 I know all of this could be overwhelming because before doing my research, I had no idea that caring for your skin was a process, and although it is time-consuming, it is good to take care of yourself. I hope you found this helpful. What are some of your favorite skincare products? Such beautiful packaging..I love pretty bottles and containers. Isn't it? I love the packaging too, and the bottles are glass. They are super gorgeous, and they smell amazing! Ok the packaging is adorable! And how fun that it's from Hawaii! Seriously! It's my favorite...it felt like a received a gift, which technically I guess I did. I definitely recommend. I like the story behind these products and the packaging is so pretty! Yes! Me too! She is so inspirational. I love products with intention. 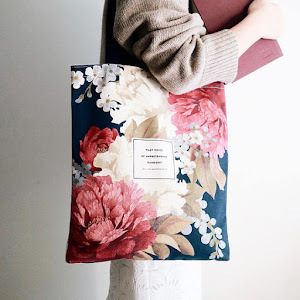 I had never heard of this brand before but they definitely sound like products I would like! They do have some pretty packaging! Haha! The packaging is definitely the most adorable ever. BUT I assure you that the product is equally as amazing as the beautiful packaging. I truly hope you purchase and see it for yourself. Thanks for reading lovely!